Berks County Eats crosses the county line to bring you some of the best dining both near and far. This edition takes us 90 minutes east of Reading to Doylestown, PA. The old saying is especially true when it comes to restaurants. Some places try to be everything to everyone. Their menus become too large and too diverse to deliver consistent meals. I think that’s one of the reasons why restaurants with a single-focus have remained so popular. Places like Taste of Crepes and Steak Shack have limited menus that all revolve around one item. The Crystal Palace was one of Reading’s most beloved restaurants, and its business was built entirely around hot dogs. These kinds of restaurants are certainly not exclusive to Berks County. A few weeks ago, Julie and I had a weekend getaway planned that started with an afternoon Doylestown. I reached out to my friends at Visit Bucks County for suggestions, hoping for something new and different. 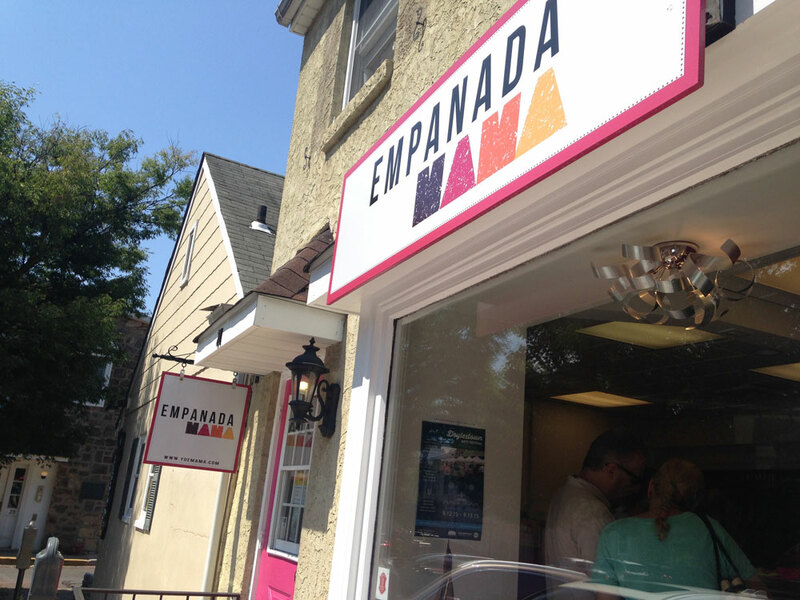 They told me if we are going to Doylestown, I had to check out Empanada Mama. 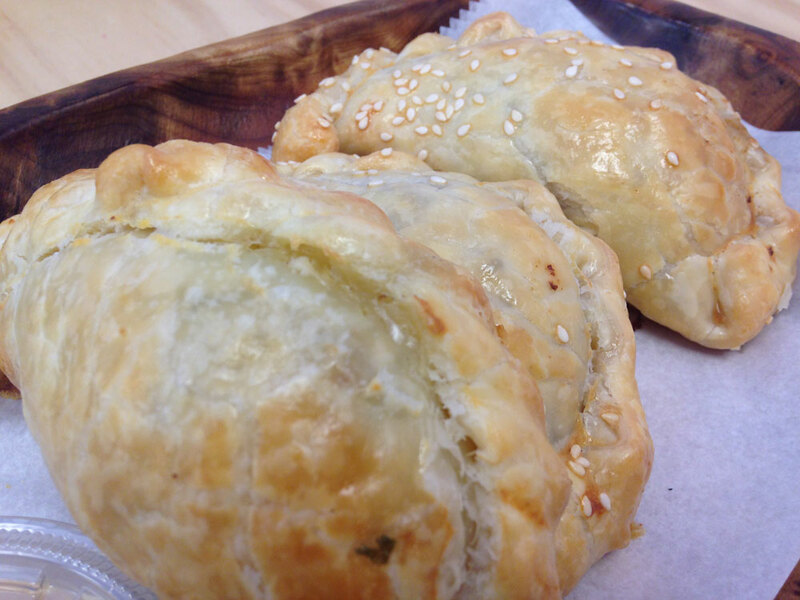 As the name suggests, Empanada Mama specializes in the stuffed Spanish pastries. With the exception for some pre-made salads, that’s all they do. In a town that is known for its restaurants, Empanada Mama is more of an in-and-out lunch counter. The daily menu consists of 13 flavors that guests can mix and match in quantities of a full dozen, half-dozen or lunch box (three). The choices were overwhelming: pulled pork, buffalo chicken, peperoni and mozzarella, and sweet onion were among the ones I had to pass over. I settled on two Korean beef and one chicken salsa verde. Julie opted for one bacon and date, one summer squash and sweet corn, and one Caprese. We were lucky that no one had yet claimed one of just four seats (not a problem on a nice day as Doylestown has plenty of park benches to go around) so we were able to sit down and enjoy them. First up was the Korean beef. Filled with a mixture of ground beef, hoisin sauce, sesame, ginger, garlic and scallions, it packed quite a punch. It was perfectly seasoned with just a little bit of burn. Mixed with the thick Asian dipping sauce, it was perfect. The chicken salsa verde was just as delicious in its own right. It had the longest ingredient list of all of the day’s offerings: shredded chicken, tomatillos, cilantro, garlic, onions, jalapeno, lime juice and mozzarella. All of the flavors blended beautifully. The mozzarella helped balance out the heat from jalapenos. And the lime juice was the perfect finishing touch. Julie couldn’t wait to dig into her bacon and date empanada. It was filled with maple-smoked bacon, organic dates and goat cheese for the perfect blend of sweet and spicy. The rich sweetness from the goat cheese mixed with the dates made it feel almost like dessert. Her other two empanadas at least felt a little lighter. The summer squash and sweet corn had a little lemon zest mixed in that added to the bright tones of the vegetables and ricotta. The Caprese was like a salad in a puff pastry. The ingredients in both tasted fresh and refreshing. Not only were all of the empanadas delicious, they were massive. We could have probably shared a $10 lunch box and been just fine. With each of us eating our own, we were stuffed. 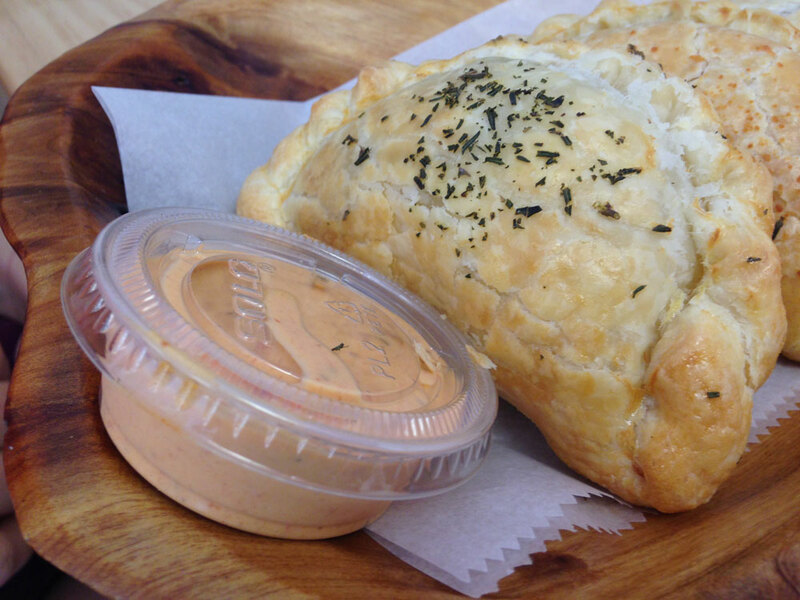 Empanada Mama is doing empanadas different than anyone else and better than anyone else. But saying that Empanada Mama only does one thing is a disservice to them. 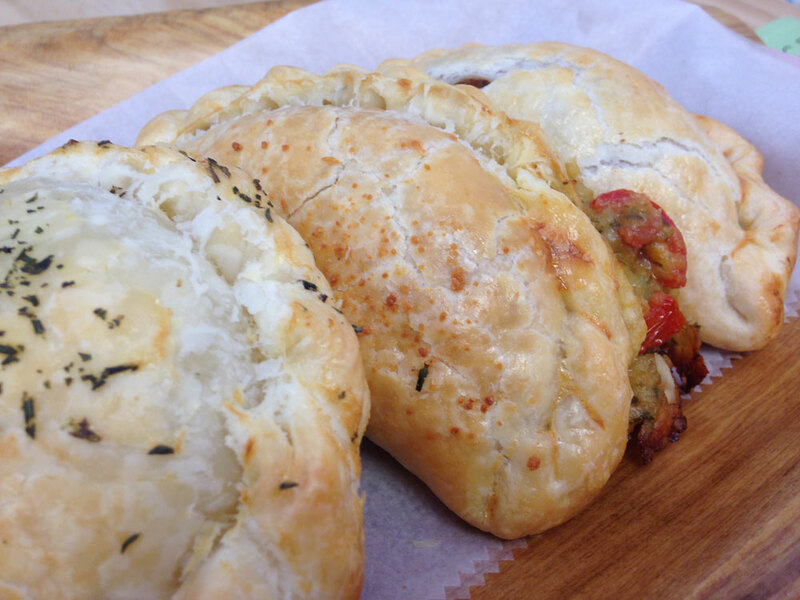 In reality, Empanada Mama is making an incredible variety of delicious meals. It just so happens that they stuff them into a pastry and fry them. And they are so much better that way.